Our industry has been operating under the newly revised Hours of Service Regulations for several months now. After reviewing Driver Logs, receiving calls from other carriers regarding the 34 hour reset, taking rest breaks and the Short Haul Exemption, I am finding there is still some misunderstanding of the HOS Regulations and would like to use this letter to, hopefully, clear up some of that misunderstanding. 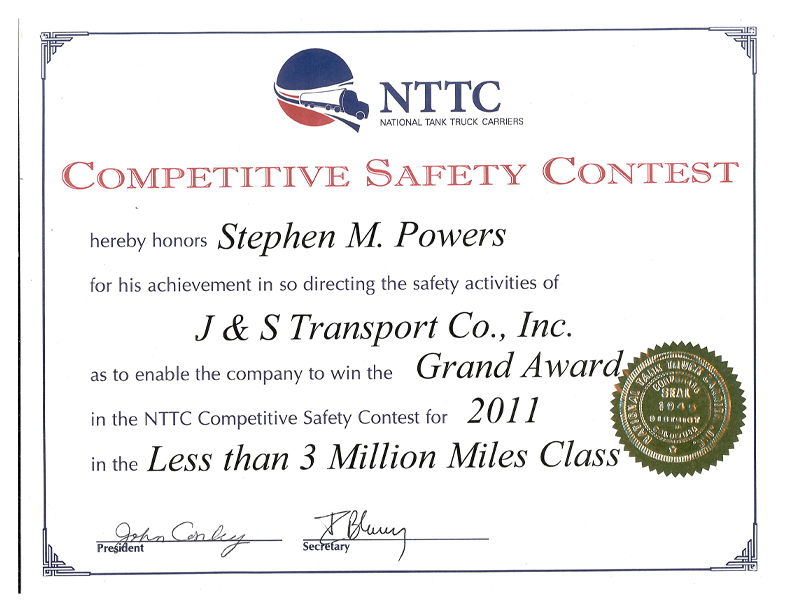 The Federal Motor Carrier Safety Administration established the “60/70-Hour Duty Limit” for Interstate Motor Carriers. Basically, if the carrier does not operate vehicles every day of the week, their employees cannot drive after being on duty 60 hours during 7 consecutive days. If the carrier does operate vehicles every day of the week, their employees cannot drive after being on duty 70 hours during 8 consecutive days. The Federal Motor Carrier Safety Administration does not require Motor Carriers to have their drivers reset their hours. Once the driver reaches that 60/70 Duty Limit, they cannot drive until their hours drop below their assigned limit. However, the FMCSA will allow the driver to “restart” their 60/70 – Hour Duty Limit providing the driver takes 34 consecutive hours Off-Duty to include 2 periods of 0100 – 0500. If the driver is assigned the 70-hour/8-day limit and works 14 hours per day for 5 days in a row, he will have been On-Duty for 70 hours. He would not be able drive again until he drops below 70 hours worked in an 8-day period. However, if the carrier elects to use the 34-hour restart provision, the driver would have driving time available immediately after 34 consecutive hours off duty. The driver would then begin a new period of 8 consecutive days and have 70 hours available. The regulations limit the use of the 34-hour restart provision to once every 168 hours (once a week) and require that anyone using the 34-hour restart provision have as part of that restart, two off-duty periods that include 1:00 a.m. to 5:00 a.m. This is pretty straight forward. The driver is not permitted to drive if 8 hours have passed since the end of the driver’s last Off-Duty of at least 30 minutes. 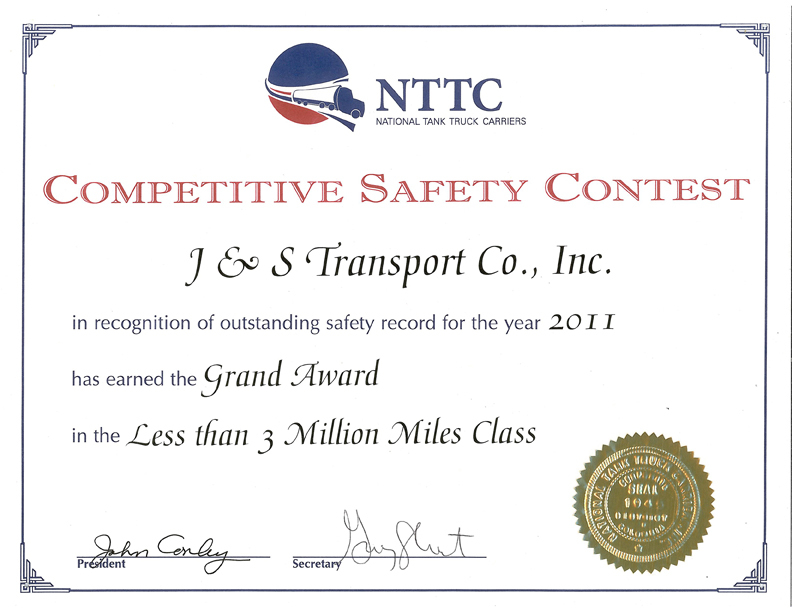 We at J & S Transport no longer stock the Driver’s Weekly Log and require all drivers to use the Grid Log to document their Hours of Service, regardless of this exemption. However, if you meet all the above requirements, you need not log a 30 minute rest break. If you do not meet these requirements, you must document taking a 30 minute break prior to the 8th hour being on duty on your Grid Log. You cannot drive after 8 hours since your last off-duty status unless the break has been taken. I hope this helps. If you have any questions at all, please see me.